Leverage Android App Development For Your Business! The dynamic Android app development market is ever alive with newer and upgraded versions. At Nexmobility, a company committed to providing exclusive Android Development services in India, we equip our team of version agnostic experts to offer you enhanced services. Engage the expertise of Nexmobility to develop an Android application, upgrade to a latest version or maintain an existing version to benefit your business. Append the success quotient in your mobility strategies by involving Nexmobility to help you develop custom Android Applications that will reshape your business. The Android Marshmallow changes your app setup with power saving optimizations, run time permissions and more. Nexmobility experts help your application adapt to all these varied feature upgrades seamlessly. The Android Nougat will enrich your app with multi-window capability, notification enhancements and a host of other features. Engage our android development services to understand and upgrade your applications. The Android Oreo enhances your apps with background execution limits features, Alert windows and more. Our expert services help you adapt based on your app setup and requirement. Upgrade to the Android Pie version as our mobility experts help you build robust apps with improved power management, user privacy and device security. As the number of smartphone users is increasing at a rapid rate, the presence of your business through mobile applications is important to have a deep impact on the minds of your customers. Android, which is the most popularly-used OS for mobiles, is being used by more than three-fourth smartphone users in the world and what’s the better way to reach your customers than through Android applications! At Nex Mobility, with our experienced and updated Android application development services, we create smarter and robust mobile apps which bring out your business characteristics in an attractive way for its customers. Being a top Android app development company India, we have helped many businesses in creating powerful Android mobile apps and initiate the ascent of the businesses into higher realms. A user-friendly interface is what attracts a user to an application. With a mix of creativity and simple design, we create the perfect application that garners attention. We lay the strong foundation for your Android application development so that the app is highly responsive and is free from any kind of unpleasant surprises. Our 24X7 customer support team is always there to guide you and answer any questions you have regarding our Android application development services. At Nexmobility we comprehensively understand the manner in which the technology we master impacts your business domain. Our experts have traversed geographies and delivered services in different verticals to understand the nuances of Android Development and how it affects businesses in these domains. Leverage our enriched experience to enhance your applications to generate better business. Our team can design & implement any complex & custom layout using Material Design. Well versed with different design patterns. Comfortable working with third party libraries. Knowledge of handling different sensors and features viz. Camera, NFC, GPS etc. Have successfully integrated different payment gateways. Implement Social logins, run time persmissions, InApp purchases. At Nex Mobility, we do much more than just churning out Android applications. Our Android app developers devote time and energy and put in use their best abilities and experienced skill sets to create apps that provide solutions to your challenges and that’s why we are one of the best in Android application development India. Security is our main priority when we develop android applications. We ensure that stringent security measures are in place that protects your most sensitive data at all costs. Customers expect applications to provide answers to their problems in the easiest way. We have helped many companies with Android application development in India to set them apart from their competitors with the simplest solutions. We integrate your applications with the device’s information and also with other third-party applications necessary so that your users enjoy a seamless experience. We have got some of the leading testers in Android development India who can efficiently remove all the bugs and fix errors in your application before release and before every update. If you want to have a peek into what your application will look like, our Android app developers will make it happen for you. You can further offer suggestions and help in shaping the app from the early stages. Our Android application development services include going through your app with a fine-toothed comb and finding out and fixing all the bugs that may cause any harm to your application. Android App Development presents new challenges with every version upgrade. At Nexmobility, we believe every new challenge is an opportunity for us to excel. We enrich our Android Development services by ensuring your applications seamlessly embrace the new feature enhancements. Video recording with embedding counter in each frame at bottom of the screen. Creating horizontal date picker well before any open source library where available. Implementing excel sheet kind of layout for displaying many values without getting truncated on different devices. Generating dynamic layout based on the values stored in database and maintaining the UI/UX appeal. Synchronizing large data containing images, videos on low speed network available in remote areas. Implementing image masking for displaying virtual rooms designs. 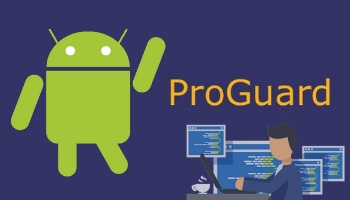 Why and how to use Proguard in Android App Development? We definitely have all heard from the Android community regarding the importance of using Proguard. Let's see why and how we should use Proguard while Android applications development. Many of the concerns are raised due to security aspects and performance optimizations of an Android application.